Poivre Blanc knows that the only way for little ones to become dedicated skiers is to make sure they're comfortable and cozy on chilly winter ski days. So they created the Poivre Blanc Ski Jacket with Faux Fur to have winter-proof features that keep them comfortable on the hill. It features an 8K waterproofing rating, an adjustable belt, removable hood, fleece collar lining and more. Plus, it's got plenty of safety features you're sure to love, like reflective bands on the sleeves and an internal name tag, in case your little one takes a wrong turn. 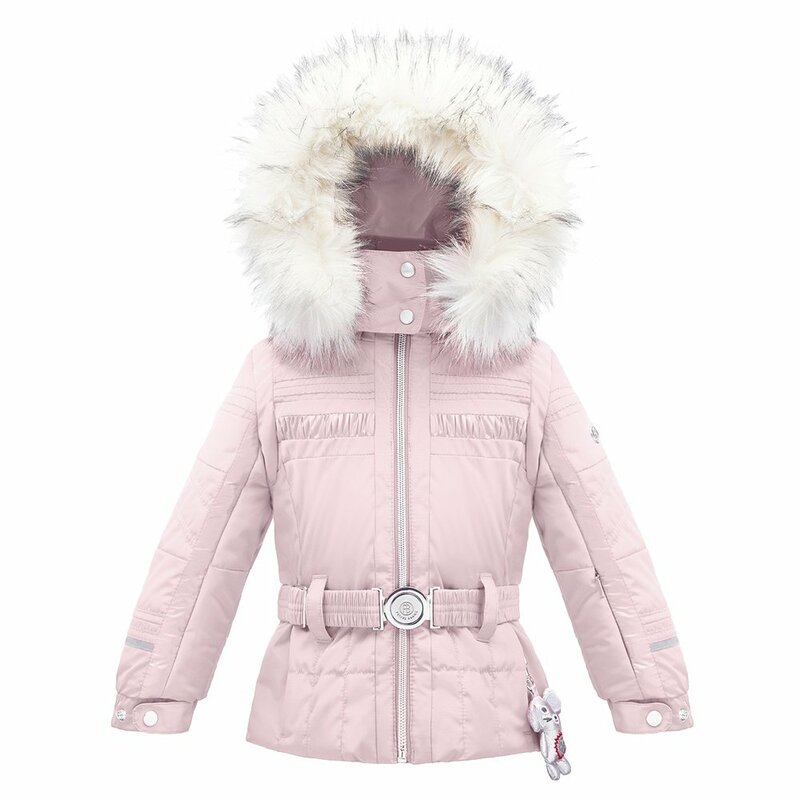 The PB Ski Jacket is sure to appeal to young girls, thanks to features like fancy top stitching on the front, an adorable Poivre Blanc bear embroidered into the back, and even a matching bear key ring! Enjoy peace of mind while she skies with features like reflective bands and an internal name tag. An 8K waterproofing rating is ideal for clear skies and light precipitation. Detach the faux fur on the removable hood for a warmer day look.